I’m the kind of person who rarely has a room in silence. Growing up, my house was always filled with either Radio 2 or Classic FM, song or discussion a constant hum in our daily life. There is something quite personal about audio – the voices speaking directly to you without the visual distractions of online content. Recently, on my Workaway adventure on the Isle of Skye, I began to devour podcasts in a big way. I had a cleaning shift from 10-1 and whilst music was great for a little dance, I was craving something to nurture my brain; to learn something new for a break from the monotony of cleaning. I had dipped into food podcasts briefly in 2015, but the last 18 months has seen an explosion of podcasting in a wide range of genres. Perfect for little pockets of time such as long bus journeys, cooking or driving when the task requires limited mental energy. I have recently challenged myself to give the couch to 5K app a go – building up to running 5k over 9 weeks and podcasts have undoubtedly made the runs a little more bearable! 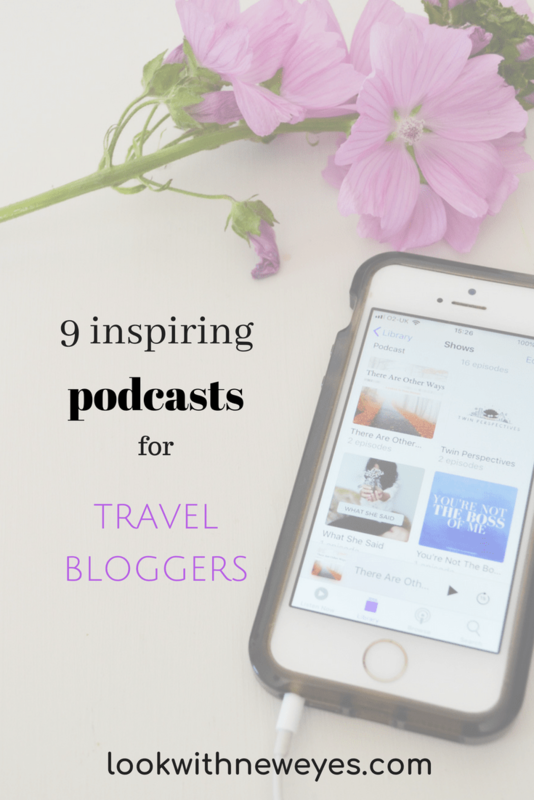 I love how you can fall down a podcast rabbit hole – certain episodes introduce you to new bloggers or Instagrammers you may not have heard of, which in turns opens the doors to inspiring new content and ideas. So these are my go-to podcasts I have been enjoying in the last year – do let me know what your favourites are in the comments below. I love the natural, chatty style – a bit like listening to your friends tell you about their latest holiday with all the tips on the best spots to go, where to eat and any mishaps along the way. 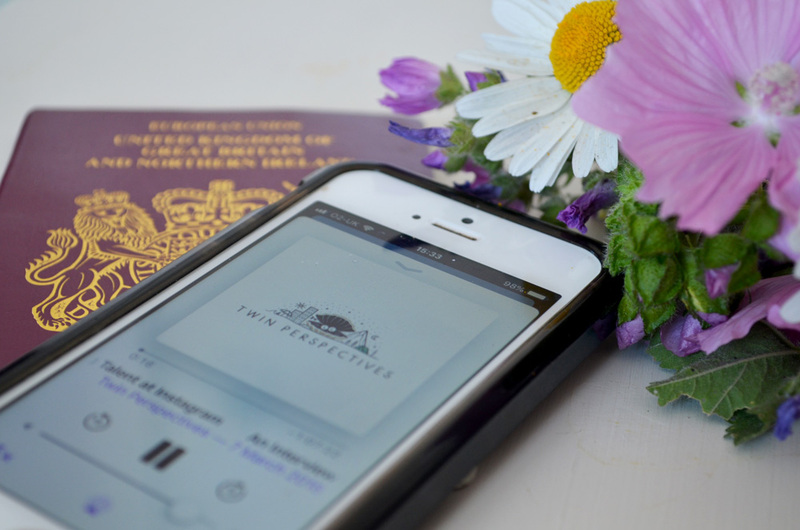 Being naturally a little bit nosy, I love how personal this podcast is regarding travel memories. Down to earth and friendly, Sam Sparrow interviews travel and lifestyle bloggers on how travel has impacted each of them from early childhood memories to questioning what travel means to them, as well as getting the lowdown and tips the blogger’s local areas from Leeds to London. A short series of podcasts from Traverse, the team behind the yearly travel blogging conference and blogger events. Each episode concentrates on a specific topic on blogging and draws on the experience of the interviewee for a wealth of tips and ideas. This is my Monday morning dose of no-nonsense inspiration. 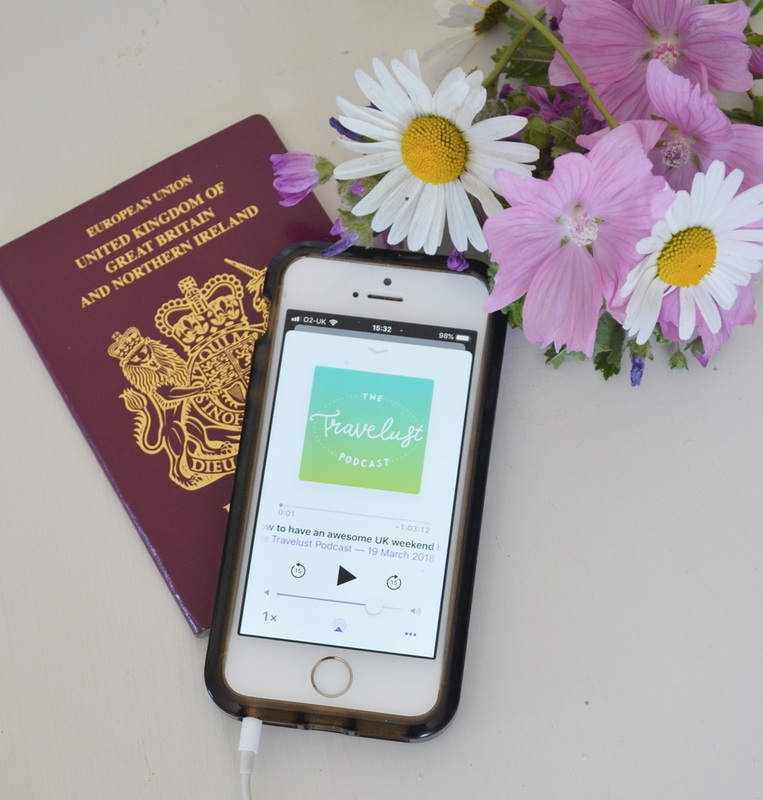 Lucy Lucraft is a freelance journalist and blogger who interviews fellow lifestyle and travel bloggers on a wide range of topics from social media, to imposter syndrome, from making a freelance living to balancing self-employment and motherhood. I love how Lucy asks the questions which pop in my head whilst interviewing, the kinds of questions you might be shy to ask! Lucy has recently spoken at Traverse and recorded a live podcast about why you should start your own podcast if you’re feeling inspired. I first discovered Sara Tasker’s work whilst randomly browsing the handmade gift site Folksy. I was browsing the blog which gives tips on running creative businesses and stumbled across Sara’s beginners guide to hashtags. Sara has become the go-to Instagram expert having grown her following organically whilst pregnant with her first child, Orla. To complement this, Sara launched a podcast which initially explored topics related to Instagram and has now blossomed into a variety of areas from tackling self-doubt, to working with brands and publishers. I discovered Fiona’s podcast on Twitter and was immediately drawn to her journey having spent time working on a sustainable farm in Italy and spending time in Bali before launching a brand storytelling business. Fiona begins each interview by exploring how each person is ‘living life a little differently’, the journey they took to where they are now, and interestingly the challenges and difficulties they face in living life differently. I came across Jen’s work by reading Sara Tasker’s blog and love Jen’s Weekly Letter’s newsletter – a dose of inspiration on a Sunday morning. Jen is a big-hearted creative coach focusing less on marketing tactics and sales funnels and more about exploring how to create an impactful and sustainable business which is true to you. Each season may take on a different format – from discussing inspiration and issues with fellow creatives to solo episodes which are like mini pick me up pep talks. Jen is like that really good friend, who tells you what you need to hear when you’re lacking that creative spark. Although The Janet Murray Show is aimed at small business owners, I’ve found a lot of the episodes can also be applied to blogging such as social media, marketing, and SEO. Janet has a really warm and engaging style and has a background in both teaching and as a journalist and editor for the Guardian. 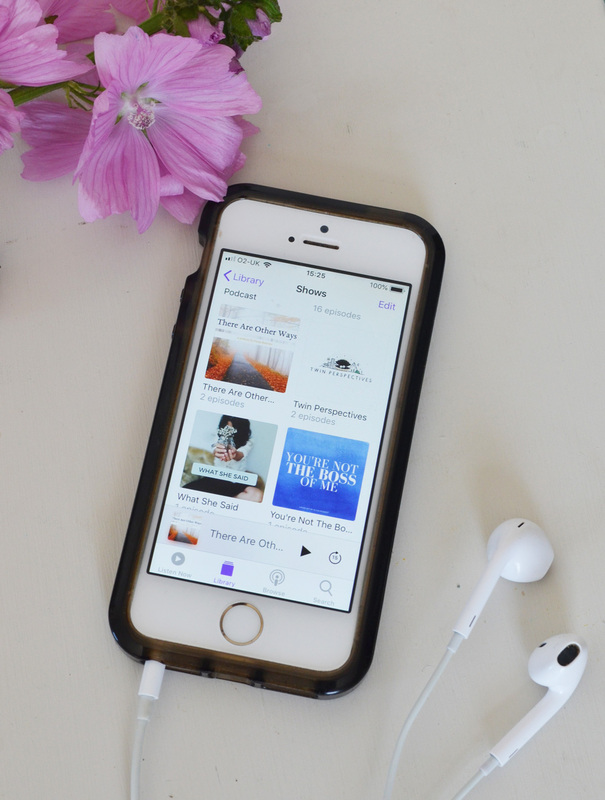 This is one of my favourite podcasts – I binge listened to the back catalogue on my daily walks when I first discovered it – it’s packed with practical ‘how to tips’ that I can be easily implemented. A relatively new podcast, Olivia is a photographer based in Falmouth, Cornwall and each week chats to inspiring women who have excelled in running their own small creative businesses. Whilst not directly related to travel, I find it interesting the hear the stories and life inspirations from creative women from photographers to wedding planner and stylist. Which podcasts would you add to this list? I would love to hear your thoughts below. Yes, it’s so hard to find the time! I find them a little bit easier to keep up with as I don’t drive so they are perfect from my commute to work, also whilst running and cooking. I’ve learnt so much from each of them and can’t wait to find some more – are they any different ones you’ve enjoyed?